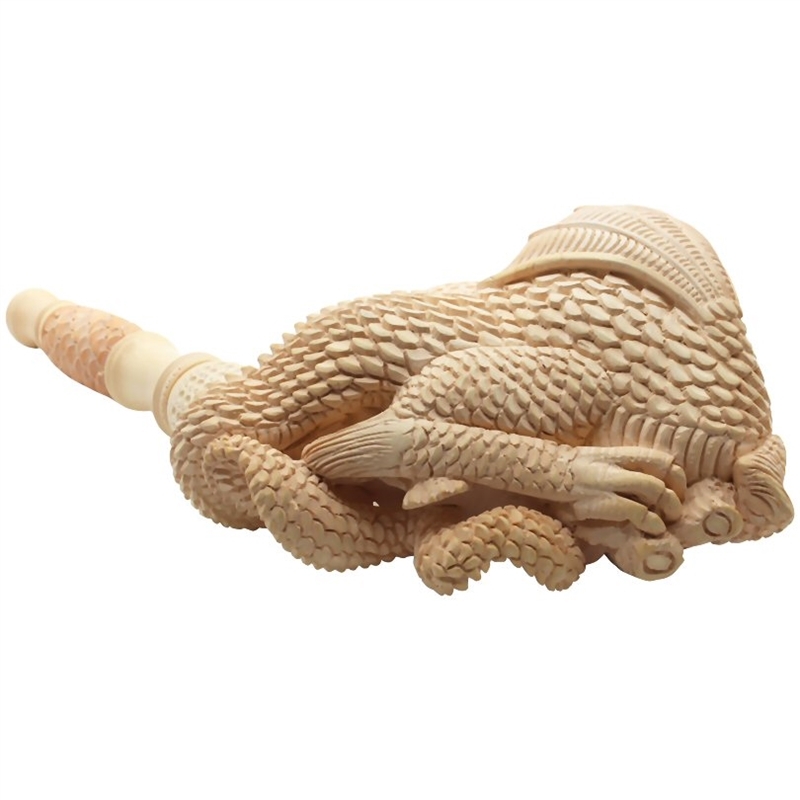 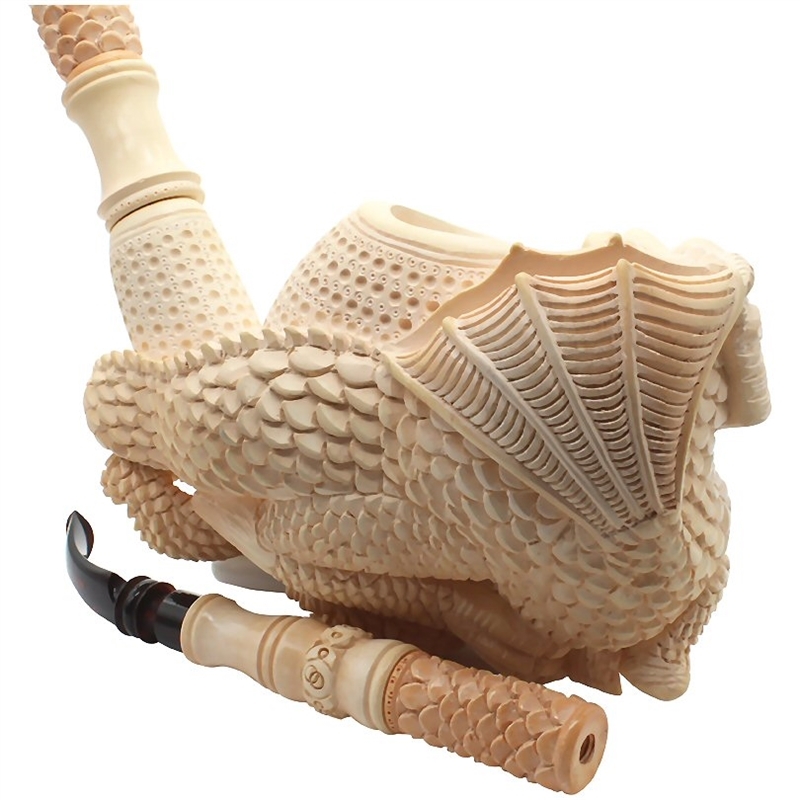 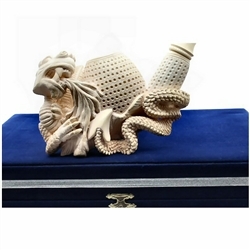 Hand Carved Fire Breathing Dragon Meerschaum Pipe - Gigantic saxophone pipe, one of the largest in our collection, is a work of art. 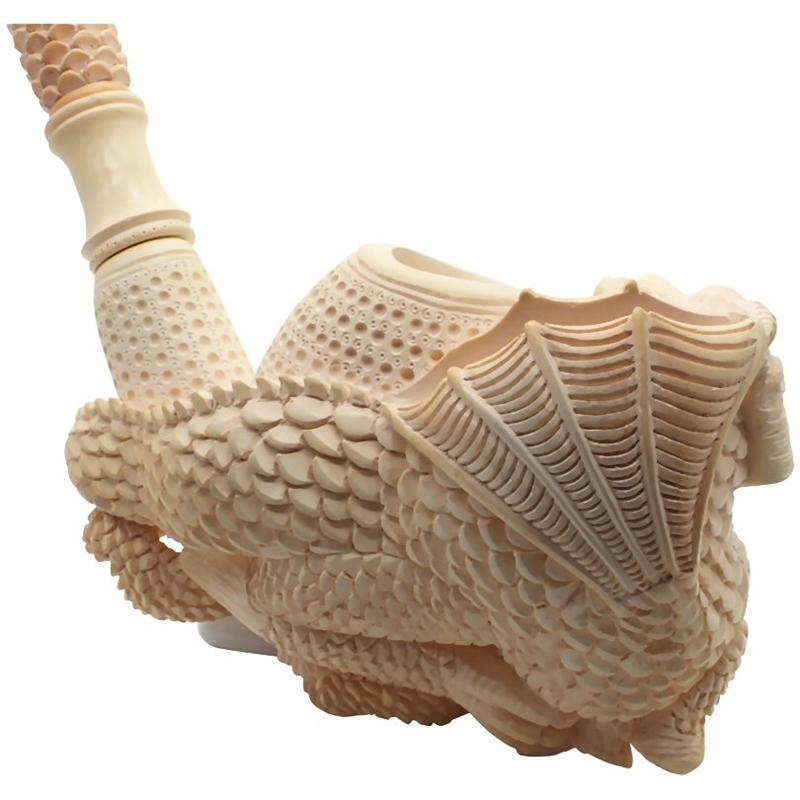 The huge pipe bowl and shank is carved in round lattice. 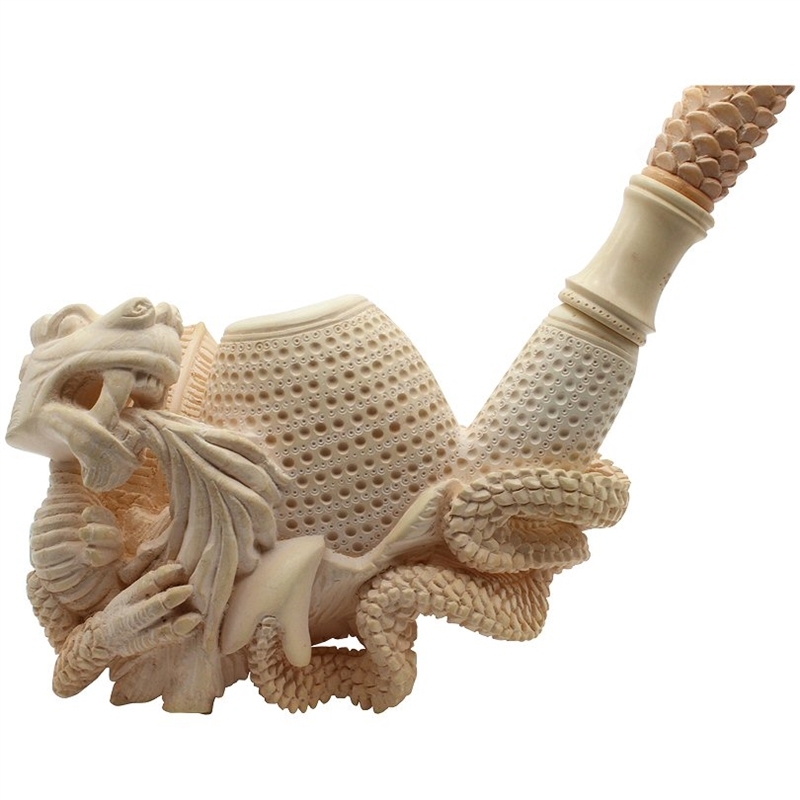 The pipe is dimensionally carved with the dragon's head and wings openly protecting the front of the bowl while his scaled tail wraps around the bowl's underside. 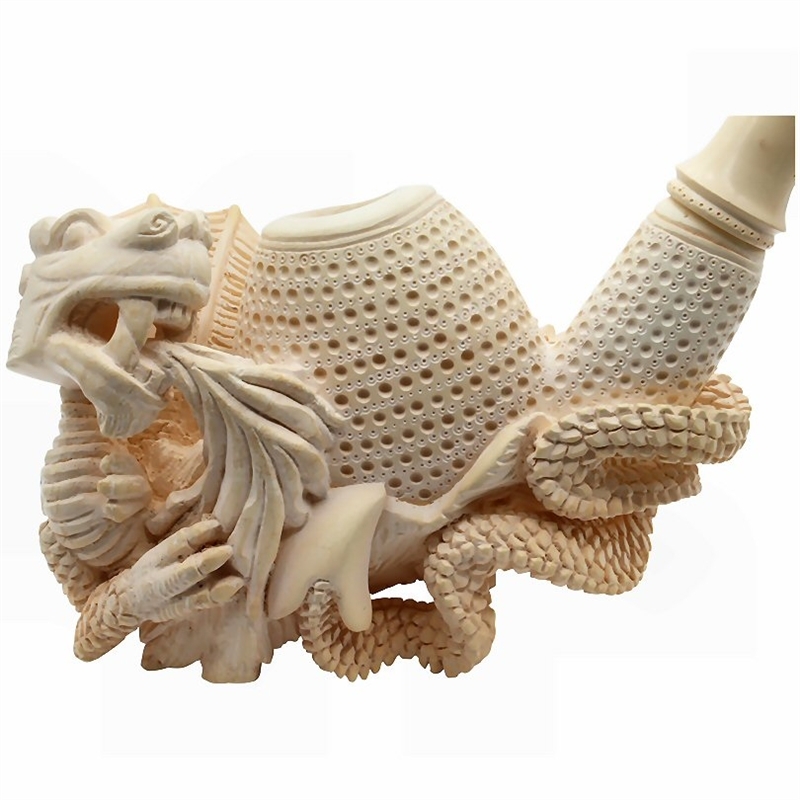 Keeping the theme, alternating knurls are carved as dragon scales. 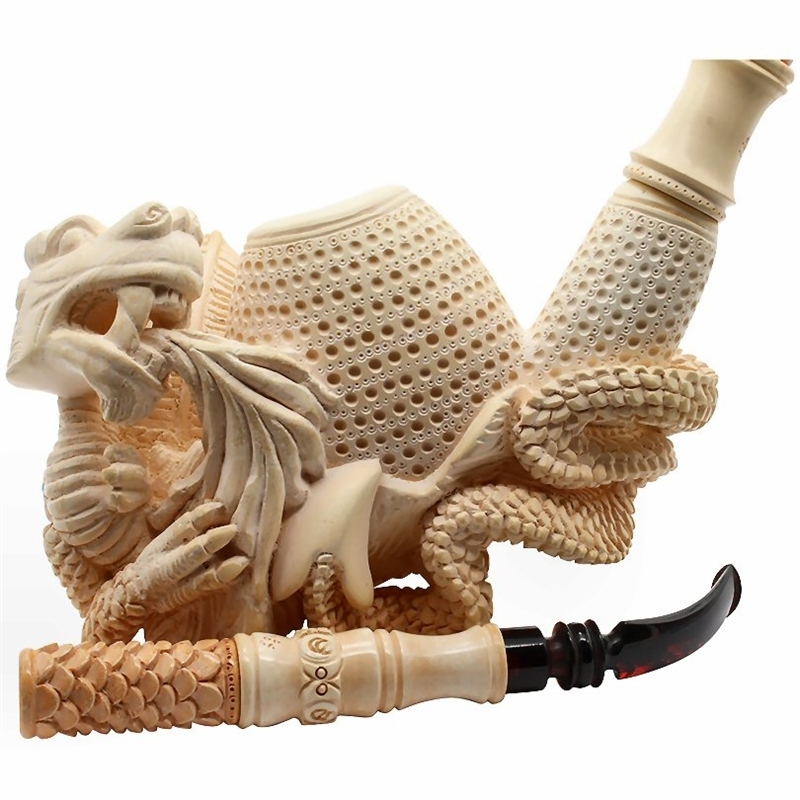 We believe this pipe was carved in the late 1980's and it was used at pipe shows on display as a showpiece. 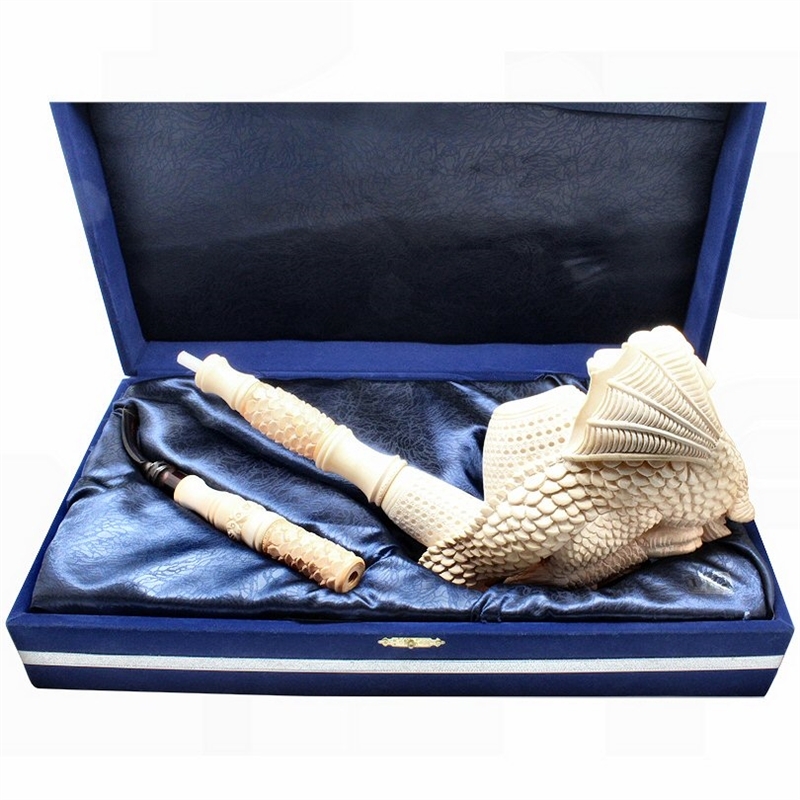 Over the years it has taken on an antique toned coloring. 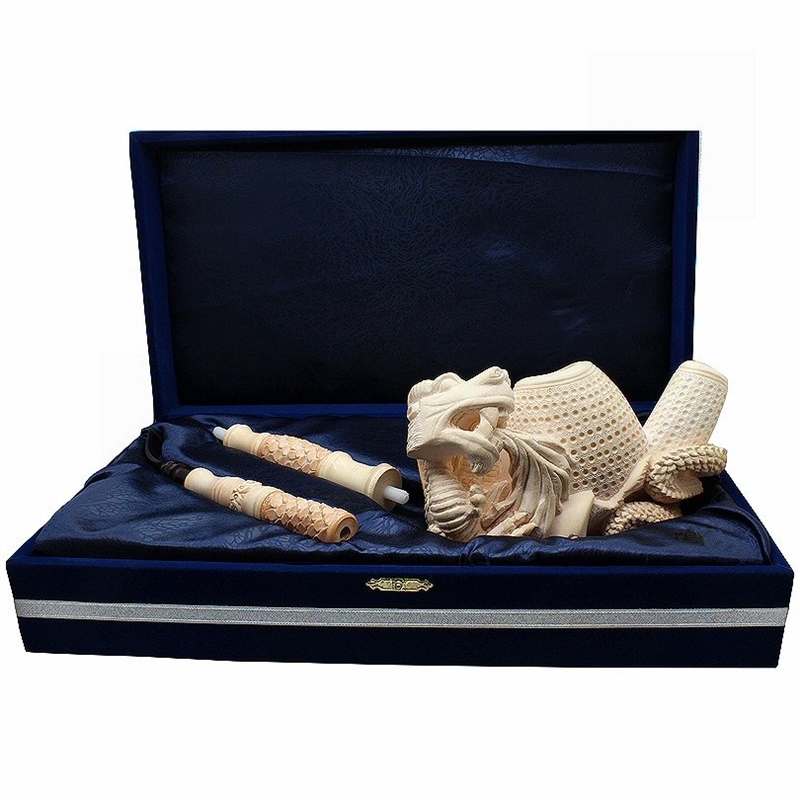 The blue velvet chest is custom made to hold and protect this pipe to an exact fit. 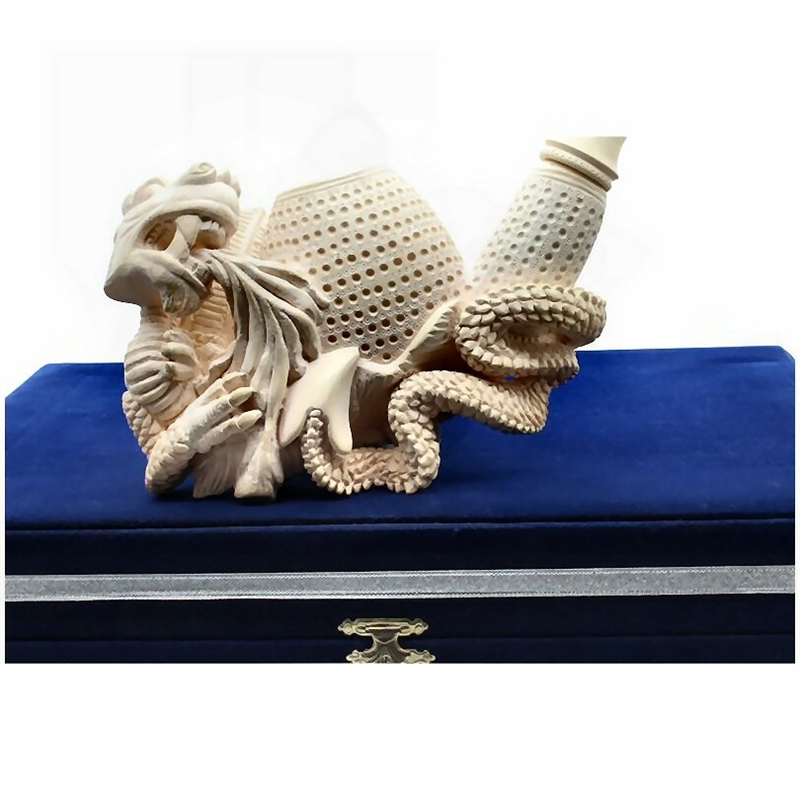 The chest measures 15 inches long by 8 inches wide and 4 inches tall.